We send you warm greetings from the Dominican Republic. God has been so very good to us during the last couple of months since our last letter! Last week, Dr. Pat Creed, Mrs. June Creed, Pastor Pat Creed, Jr., and Pastor Dennis Leatherman were with us for two special Bible College Modulars in our Bible College. Pastor Pat Creed Jr. gave a class on “Forgiveness” and Pastor Leatherman gave a class on “Sunday School”. God worked in a great way! Although these are actually Bible College classes, we invite all of our church people to come to these special courses, trying to help them, and also to create a desire in them to enroll in other classes in our College in the future. We saw 45 people saved during this special time. The week before that, I was six hours away in Loma de Cabrera with Pastor Felo for the church´s 7th anniversary. God gave us a wonderful time with 79 people saved in soulwinning and in the services. During one the visits, I went into a home where I knew everybody but one teenager name Luis Miguel. I did not want to leave without sharing the gospel with him, especially since I was there for just a few days. I felt a little sorry for him, because as I entered his grandmother’s house, he had just lifted up a big bowl that was keeping the flies and the cold out of his lunch. He looked like he was ready to devour his food. However, after talking with him for a while, and sharing the good news of the gospel, he forgot about his food, and prayed the sinner’s prayer to receive Christ! Just a few days before my trip to Loma de Cabrera, Pastor Corey Bane, from the Shenandoah Bible Baptist Church of Martinsburg, WV, was with us with a group of folks from his church. The Lord allowed us to see 75 saved during their visit. We were able to visit several of the churches we have started, have a special service in them, as well as hold special services in our church in Quita Sueño. Pastor Bane, his assistant, Bro. Jason MacRae, and different laymen preached for us. God used them in a great way! During their visit, while out soulwinning with Brother Chuck, we came across a group of people that I had said hello to for a couple of weeks, but I had not stopped to witness to them. In the morning, on that particular day, I prayed for them, and the Lord laid upon my heart to search them out. Praise the Lord, He opened the door for us to see them. However, just as I began talking to them, the person that was making them lunch handed them each a bowl of soup. I felt bad that their soup got cold, but they waited patiently to hear the good news of Jesus Christ. After I finished, seven of them prayed to receive Christ as their Savior! Yesterday, the Lord gave us wonderful services! In the evening, the Lord laid upon my heart to preach a message entitled “The End of the World” from Matthew 24:3. I did not know that he was coming, but a man named, Ramón de la Rosa came and visited us along with some other friends. He is running for “Regidor”, which is like a congressman here, working under the direction of the “Mayor”. Praise the Lord! He, and a friend that came with him, got gloriously saved! Another girl, whose parents brought Ramón, had been saved recently, so she followed the Lord in believer´s baptism. Our Bible College classes for this semester have started with an attendance of 22. As you already know, there are three other Institutes that we help run, in three of the other churches that we have started. Because of the logistics of getting students back and forth, it has worked better to have separate, smaller classes in separate Institutes. Praise the Lord that, in September, the Lord allowed us to start two new churches – one in “Fantino” with Pastor Oliver, and one in “Manoguayabo” with Pastor Armando. Three weeks ago, the Lord was so gracious in allowing us to start another church in an area called “Wachupita” with Pastor Fernando! Please pray for my wife, Nohemy, my daughter, Sarah, and me, as we serve the Lord here. The Lord has allowed us to start 12 churches and place a pastor in another church. Of course, I am not the pastor of all of these churches. However, I try to do everything I can to help influence and help each of these churches to be what God wants, and for me to be an avenue to help meet needs for each of these ministries. We also will continue, upon God´s direction and blessing, to start churches all over the Dominican Republic! God bless you my friends! Thank you so much for making it possible for us to serve the Lord here in the Dominican Republic! We send you cooler greetings again from the Dominican Republic. Again, the weather has been extremely colder than normal. We have had a cold front come in that is giving us low temperatures of 64 degrees. Believe it or not, after 21 years here, our blood has thinned out and temperatures like that are very cool for us. Many people all over the country are getting bad colds and flus. I know that the flu is hitting the states very hard as well currently. 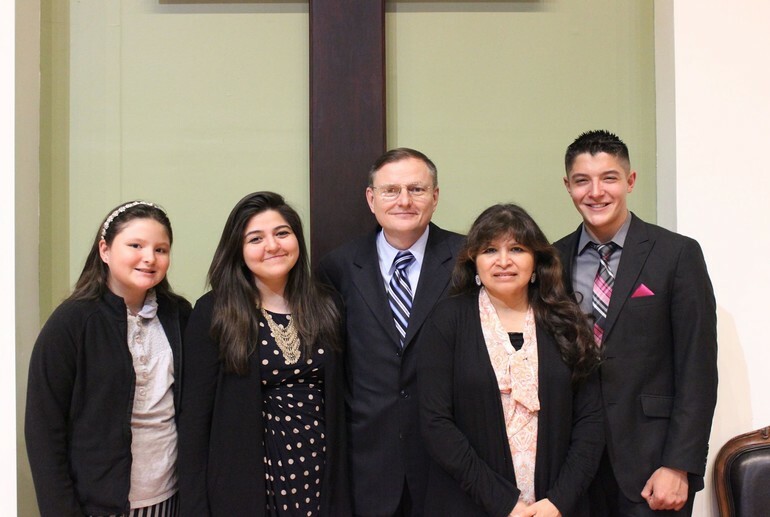 The Lord gave us a wonderful time with Dr. and Mrs. Pat Creed, Dr. and Mrs. John Bailes, and Pastor James Vaughn, who came to be with us and give two modular Bible Institute classes in our Bible Institute on January 30 – February 6. We also held an Institute graduation on Saturday, February 3rd. Dr. Creed preached a wonderful Spirit filled message on “Elijah and the Widow Woman”! There were 38 that received some type of certificate during the ceremony! This was with a combination of three of our Bible Institutes coordinated from our church in Quita Sueño. The certificates were for our four-year “Degree in Theology”, our three-year Diploma in Theology, our two-year Certificate in Biblical Studies, our one-year Certificate in Biblical Studies, and some others just received a certificate honoring them for their hard work and encouraging them to continue in their Bible studies. The Lord has given us a group of 20 attending classes for this semester of Bible Institute classes in Quita Sueño. We are also very excited that two weeks ago we had our first deaf baptism. A teenager named Stacey was baptized. Her mom and dad, Raul and Rosa, came to attend her baptismal service. Praise the Lord, her dad, Raul, got saved! Please continue to pray for the spiritual growth of many others who have been reached during the last few months with this very, very important ministry! Sister Joy Wesson is doing such a great job with this ministry. Before our mid-week service, Joy has a special sign language class, where she is teaching sign language to some young men and women. It is our goal that the Lord was raise up some future leadership with this group. 1. Quita Sueño – the Lord provided some much-needed doors, last week we were able to purchase 10 tables, in November the Lord provided to purchase the land next door for some much-needed Sunday School space. 3. La Nueva Barquita – the Lord provided a small piece of land for our church there and a simple wooden open-air structure. We are praying for the land that is for sale behind it before the price goes way up, and for provision for a more permanent structure. (The land is $5,000 and a one floor building would cost us about $10,000). 4. 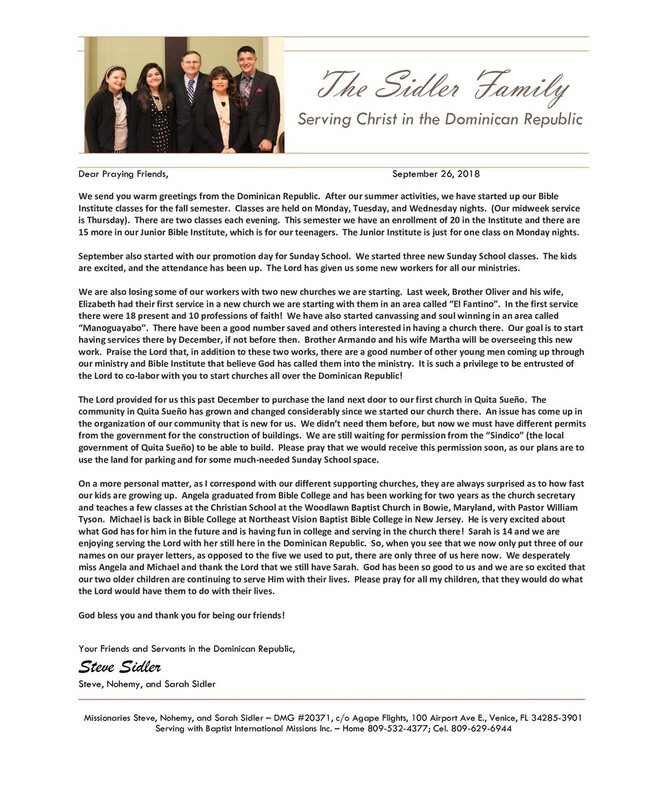 Los Frailes – our church there is doing great! We basically need a piece of land there. The folks there give and are growing in the Lord. However, the land there is more expensive. We could buy a piece of land there for about $25,000. 5. Resurrection (Pastor Wellington) – we have some basic needs of some musical instruments. 6. Loma de Cabrera – we are building a building on a piece of land the Lord gave us there in 2017. We are lacking in some funds for some materials. 7. Dajabón – the Lord gave us a piece of land. We will be putting up a simple wood and tin open-air structure there within the next few weeks. We are still lacking $400 for some materials. 8. Barsequillo – we are meeting in the front of a member´s home in the open-air. 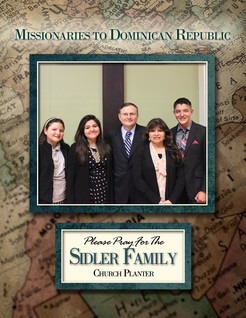 We are praying for a place to rent or some land to build soon. 9. *This September we will be starting a church in “El Fantino”. 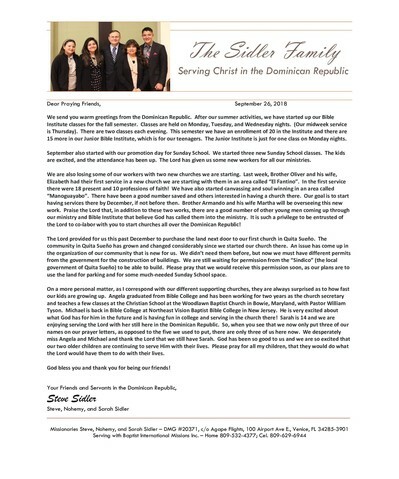 Brother Oliver and his wife Elizabeth will be working with this church. 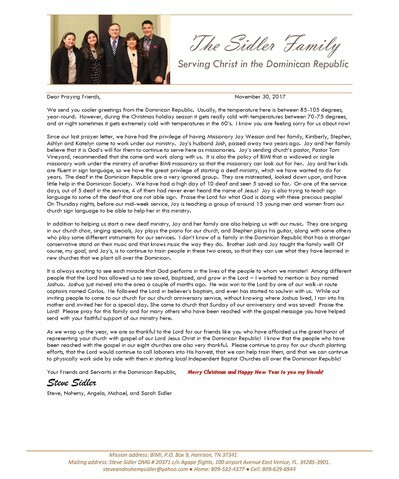 We send you warm greetings from the Dominican Republic. As our summer is wrapping up, we praise the Lord for the wonderful fruit the Lord gave us this summer! The summer months have always been the time that the Lord has given us most of our “fruit that remains” in our ministry. On June 5-9, our church in Quita Sueño had Neighborhood Bible Time for the children in the mornings, and a Youth Conference in the evenings. There were a total of 385 children enrolled in the Neighborhood Bible Time, with 73 professions of faith, and 227 enrolled in the Youth Conference, with 52 saved. These two activities were also carried out in our six other churches. One of the biggest goals of the year is for as many as possible, from all our churches, to be able to go to our annual Summer Baptist Family Camp. This year we could took 159 to camp. There were 4 saved, 37 were called to preach, or surrendered their lives to serve the Lord full-time, and 12 made a re-confirmation of God’s call upon their lives! Amen! God has given us a great spirit in our churches this summer! The attendances are up, we are seeing people saved, getting baptized, being faithful, and making great decisions for the Lord! The number of those signed up for our Bible Institute for the fall semester has risen, as well as the students for our Junior Bible Institute. The Junior Bible Institute is a once a week class for the teenagers 17 and under. 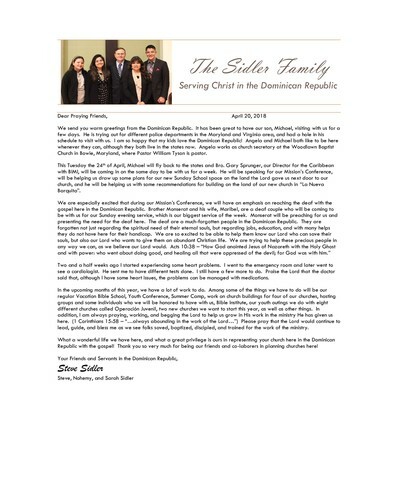 Here is some news from our different churches. Presently, my assistant pastor, Pastor Leonardo Arias, is preaching a special meeting for our two churches in Loma de Cabrera and Dajabón, for Pastor Felo Recio. Pastor Leonardo´s wife, Fifa, is also with him. Her mother of 87 years passed away last week. She was a faithful member of our first church for 21 years! This Sunday at 6:30 p.m. I will be preaching for the seven-year anniversary of our church in Los Frailes. This Monday night, I had the privilege of winning Mr. Miguel Angel to the Lord with his three sons, Miguel Angel-23, Johan Miguel-16, and José Miguel-11. Mr. Miguel Angel is the ex-husband from a lady in the Spanish ministry of our home church in Clinton, Maryland. They will be in the special 7-year anniversary service on Sunday, as they live close to the church. On October 15, I will be preaching for the 37-year anniversary of our church in Kilometer Eight. (We did not start this church. We put pastor in it, as they did not have a pastor.) Pastor Felo Recio was able to purchase a piece of land for his church in Dajabón for $1,500 and for his church in Loma de Cabrera for $4,500. The Lord also gave us $5,000 to purchase a piece of land for our brand-new church in La Nueva Barquita. This church is already averaging 60 and seeing folks saved and baptized! 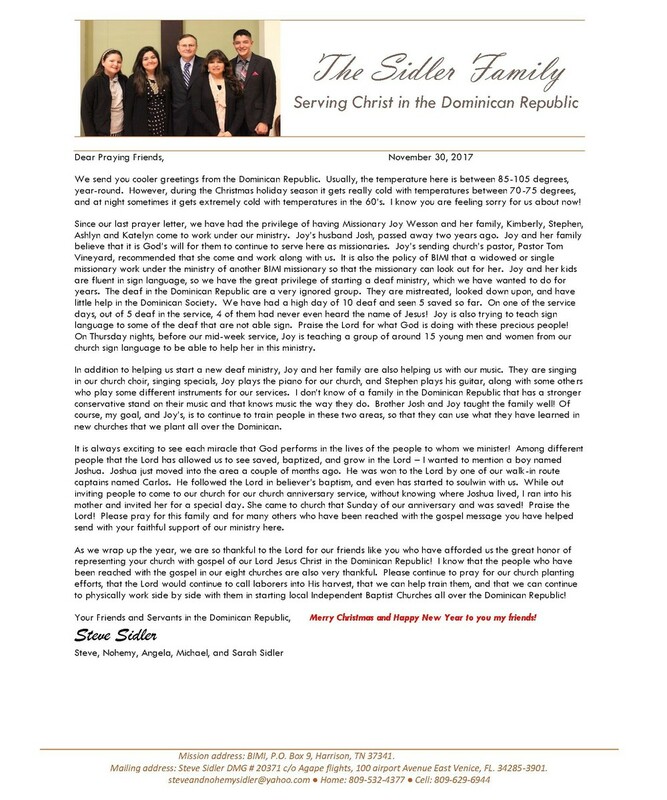 Our church in Vietnam, Santo Domingo, is also doing great! Thank you so very much for those who gave a special offering to help with the land for these needy churches. Having their own land and a building will help our churches here become indigenous that much quicker. 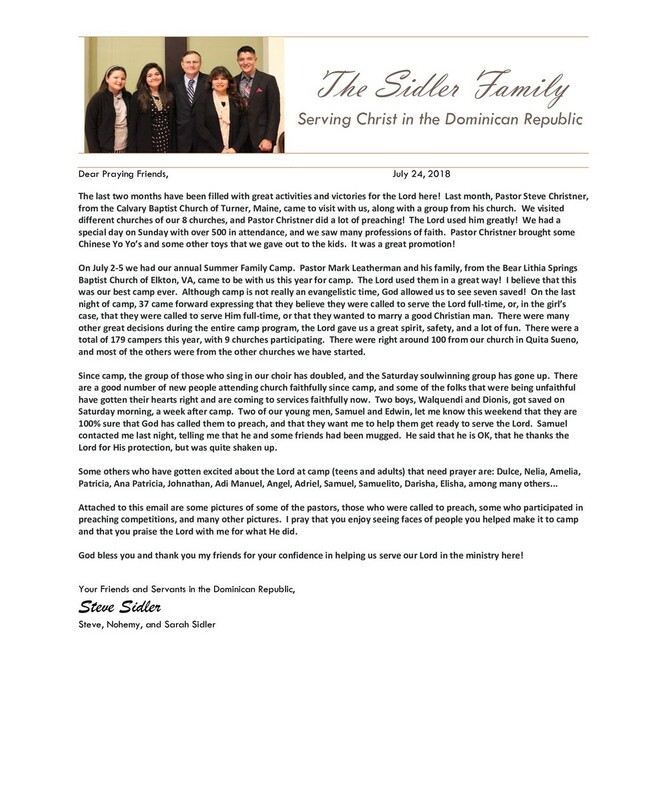 In April, Pastor Mike Creed, from our home church was here with us in the DR. We had the privilege of visiting the mother of another man from the Spanish ministry of our home church, Brother Juan Lopez. His mother, “Mama-Nineh”, of 98 years old got saved! She passed away three weeks ago. After her passing, I made a visit to Brother Juan´s 104-year-old aunt. She got saved as well! Praise the Lord! Thank you, my friends, for making it possible for my family and I to serve the Lord planting churches and reaching the precious Dominican people with the gospel of our Lord Jesus Christ! God bless you & thank you for being our friends!